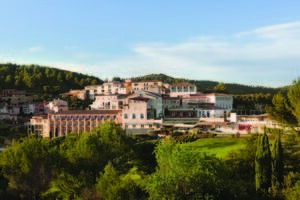 The Hotel Resort Dolce Fregate Provence offers a broad range of services to ensure guests with a relaxing, stress-free holiday. This 4* establishment is perfect to enjoy the Provençal and Mediterranean art de vivre with plenty of outdoor activities to make the most of the beautiful weather. Located in Saint-Cyr-sur-Mer, the resort is just a 10 minute drive from Bandol and a 20 minute drive from Cassis. In between the two appellations it offers an ideal base to taste the local wines. In addition, the hotel gives you easy access to the seaside and the best Mediterranean sights, such as Marseille and its breath-taking Callanques. The resort offers countless activities on site. The hotel boasts one of the most beautiful golf courses in Europe, with a stunning view over the Mediterranean Sea. A wellness centre is also available including a heated indoor swimming pool, a sauna and a fitness area. 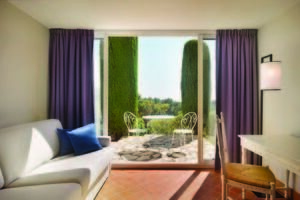 In addition, an outdoor swimming pool will allow guests to enjoy the Provençal sunshine. Dolce Fregate also has a tennis court and can arrange bike hire for those who would like a more active holiday. For the foodies, the resort has two restaurants serving delicious Mediterranean food. 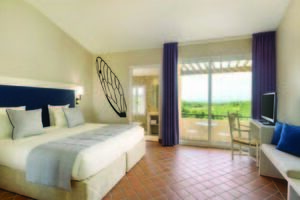 The comfortable rooms are decorated with pastel colours and local traditional materials such as travertine limestone and terracotta. They offer all the modern comforts with climate control, Satellite TV, complimentary WIFI, a safe and a minibar as well as en-suite bathrooms with complimentary toiletries, bathrobes and slippers.